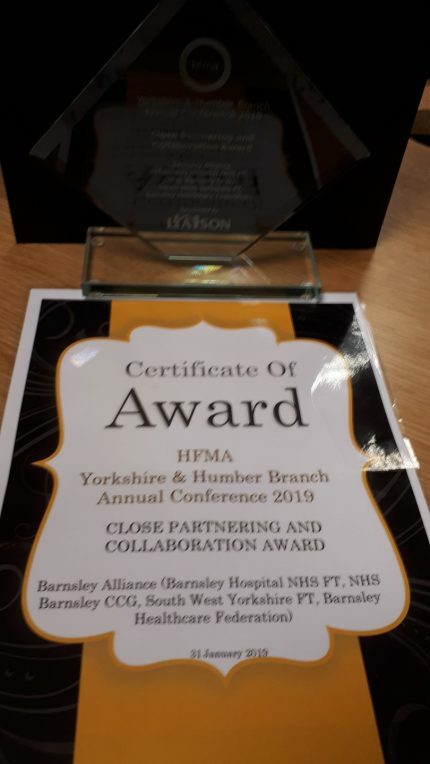 Barnsley’s intermediate care has been chosen as the winner in the ‘Close Partnering and Collaboration Award’ category of the 2019 Healthcare Financial Management Association (HFMA) Yorkshire and Humber awards. The service was nominated as part of the Barnsley Alliance, made up of South West Yorkshire Partnership NHS Foundation Trust, Barnsley Hospital NHS Foundation Trust, Barnsley CCG and Barnsley Healthcare Federation. 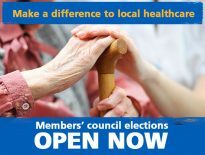 The Alliance was nominated for working in close partnership to transform the intermediate care service in just one year. 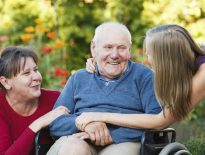 The service now sees patients being moved more efficiently through their care pathways, a reduction in discharge delays, and a reduction in financial spend. Prior to launching the new service, patients, clinicians, members of the public and independent and voluntary organisations were asked their views which identified what was important to them and helped to shape the new model. HFMA is a registered charity dedicated to protecting the public interest by setting and promoting the highest standards in financial management and governance in healthcare.